Fiddling While Disneyland Burns | Chickens Don't Clap! Nero’s Day at Disneyland offers one of those listening experiences that leaves you feeling like you have no idea what just hit you. An experience that will most likely leave you a little bit afraid, a little bit giddy, and utterly amazed. The solo project of Brock Bousfield (aka Brock Schism), Nero’s Day started as an absurd amalgam of styles — falling somewhere between Venetian Snares, Mr. Bungle, Danny Elfman, and some kind of video-game influenced art punk. 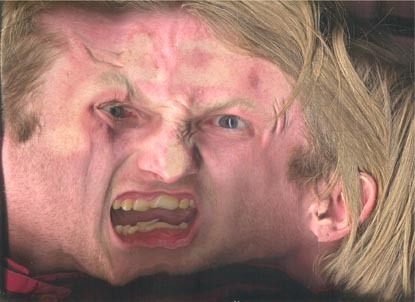 His past two releases, Grievances and Dead Malls and Colonists, have found Brock delving heavily into the breakcore elements of the sound he crafted on his debut album Attention Shoppers. And the results have been exceptional. 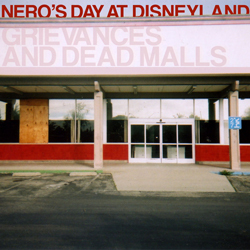 Grievances and Dead Malls, which was released on BinkCrsh Records in 2005 (and is available for free), was the first exclusively instrumental effort by Nero’s Day. The entire EP is a mass of crushing, syncopated drums and synth, releasing you from its ferocity only periodically. 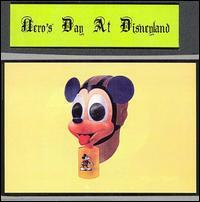 Social criticism lies at the heart of Nero’s Day at Disneyland, as the alias suggests, and even without lyrics the music makes you feel as if something is very, very wrong… and that perhaps we’re paying for it every day of our lives. His latest EP, Colonists, continues where Grievances and Dead Malls left off as Brock explores more chaotic instrumental compositions. His sound has continued to evolve, however, and this release finds Nero’s Day a bit less melodic and even a bit more subdued, as the album integrates sparse, atmospheric noise that ultimately culminates in the tortured ambience of “Shamu Wraith”. A standout track, “Pact With God”, opens with apocalyptic strings and choir — chopped, looped, and overlaid — that transform into a low drone, framing the more familiar menacing synth, blips and beeps. Everything seems to be operating at a noticeably slower tempo for much of the song, but it ultimately builds in both chaos and urgency. It’s the magic of the marketplace. Nothing ever goes right, I’m a bad person. So why don’t you just buy something? Yet, as great as that track is, “The Glass Ceiling Cabaret” is probably my favorite song on the album… certainly of the vocal tracks. His voice is absolutely insane; sounding like it belongs to some cave-dwelling Gollum-like creature, it pierces and screeches. The music is just as chaotic as the vocals, a pulsating fury of drums and keyboards that contains some of his best melodies. This album has become hard to find these days, as the label it was released on has since ceased to exist. I did, however, stumble across a link to an online mail-order that seems to have some copies of it still in stock. I’m not entirely sure if Brock gets any proceeds from these sales, however, as his myspace page clearly labels it as “sold out”. I’ll be sure to update soon once I find out. UPDATE: Attention Shoppers is available at the above link out of print. Were you successfully able to order Attention Shoppers? Also, Brand X is awesome, but I prefer the extended version not on the album. 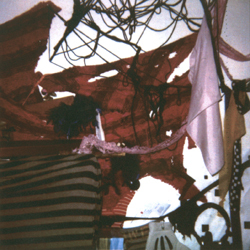 The cover art for Grievances is fanfuckingtastic. I did order a copy, since I failed to do so before Audio Savant went under. Haven’t received it yet, though. And yes, I do prefer the extended version as well… I wasn’t sure if I should post it, but maybe I will when/if I get an update about the album sales. Hahaha… check the wikipedia entry for Breakcore. Pretty good, short description. There’s also an artist list. I found “Colonists” to be very refreshing. It has been fun to watch Brock evolve over the years, which isn’t to say that his early work (with the Beautiful Mutants and solo work) wasn’t equally intoxicating. Brock always seems to cook up something unexpected in his songs, something which challenges the listener’s ability to categorize them. His use of tempo change at awkward times, sampling of opera/classical works and electronic wizardry make for a bewitching and intellectual experience.